A recent study has shown that caffeine can enhance the cognitive performance of the brain when dealing with strong positive words. Coffee is one of the most popular beverage in the world today. It is brewed from coffee beans and is a staple morning drink for most people in the world. What makes coffee special is caffeine. It is a chemical stimulant that can be found not only in coffee beans but also in seeds, leaves, and fruits of some plants. But the coffee bean is the most popular source of caffeine. Caffeine stimulates the brain making it more alert and active. As a central nervous system stimulant, caffeine is the most consumed psychoactive drug. The US FDA treats caffeine both as a drug and a food additive. It is legal and unregulated in nearly all parts of the world. It is estimated that 90% of the world's population consume caffeine in one form or another and that 80% of US adults consume an average of 200mg of caffeine every day. 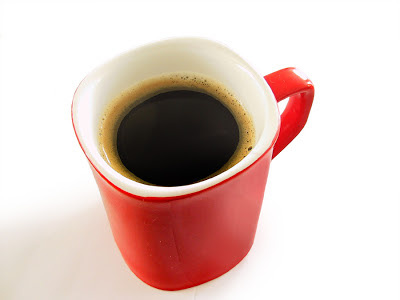 In recent years, coffee is consumed for the health benefit it supposedly brings. Caffeine has been attributed to enhancing cognitive behavior of the brain. It is also said to maintain strength and enhance muscle performance in the elderly. It also is being studied for improving the brain metabolism in patients with Type 2 diabetes. Doctors recommend that the daily caffeine intake should not go over 300mg (3 to 4 cups of coffee). Caffeine perks up most coffee-lovers, but a new study shows a small dose of caffeine also increases their speed and accuracy for recognizing words with positive connotation. The research published November 7 in the open access journal PLOS ONE by Lars Kuchinke and colleagues from Ruhr University, Germany, shows that caffeine enhances the neural processing of positive words, but not those with neutral or negative associations. Previous research showed that caffeine increases activity in the central nervous system, and normal doses of caffeine improve performance on simple cognitive tasks and behavioral responses. It is also known that certain memories are enhanced when strong positive or negative emotions are associated with objects, but the link between caffeine consumption and these emotional biases was unknown. This study demonstrates, for the first time, that consuming 200 mg of caffeine, equivalent to 2-3 cups of coffee, 30 minutes before a task can improve the implicit recognition of positive words, but has no effect on the processing of emotionally neutral or negative words. The authors suggest that this effect is driven by caffeine's strong dopaminergic effects in the language-dominant regions of the brain.